Hosley's 5.12" Brown Electric Potpourri Warmer. DIPOO P1 Unit measures 4.33" x 4.33" x 5.12". For use with liquid potpourri. Ideal Gift for Wedding, Special Occasions, Spa, Aromatherapy, Reiki, Meditation Settings and Home Office. 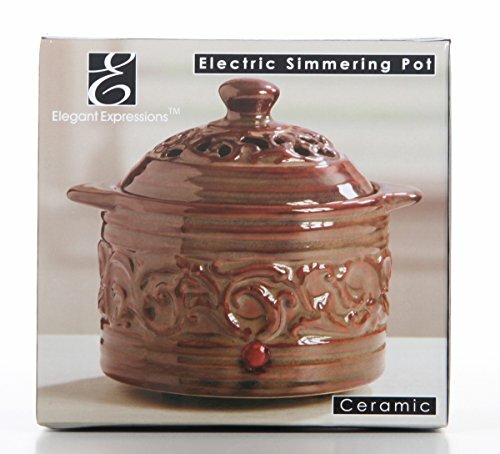 USE: The warmer will diffuse a pleasant fragrance into the air when warming your favorite liquid potpourri. MEASUREMENTS/MATERIAL: Each one measures 4.33" x 4.33" x 5.12" and and made of ceramic.